Miami city commissioners have approved a large easement on city-owned Watson Island to free up space for a long-planned heliport. The heliport’s construction is planned for the southern portion of the barrier island, adjacent to city-leased land used as a seaplane base. The city administration recommended that the commission adopt a non-exclusive easement of approximately 55,807 square feet of city-owned property on the island currently leased for a heliport. Commission Chairman Ken Russell said the easement is necessary for the construction of the project. The resolution approved Jan. 24 authorizes the city manager to execute a Temporary Easement Agreement “to and for the benefit of Linden Airport Services Corporation, d/b/a Watson Island Heliport Corporation, a Florida Corporation” for a temporary easement of 55,807 square feet of city-owned property on a portion of land at 980 MacArthur Causeway. Linden requested the temporary easement. 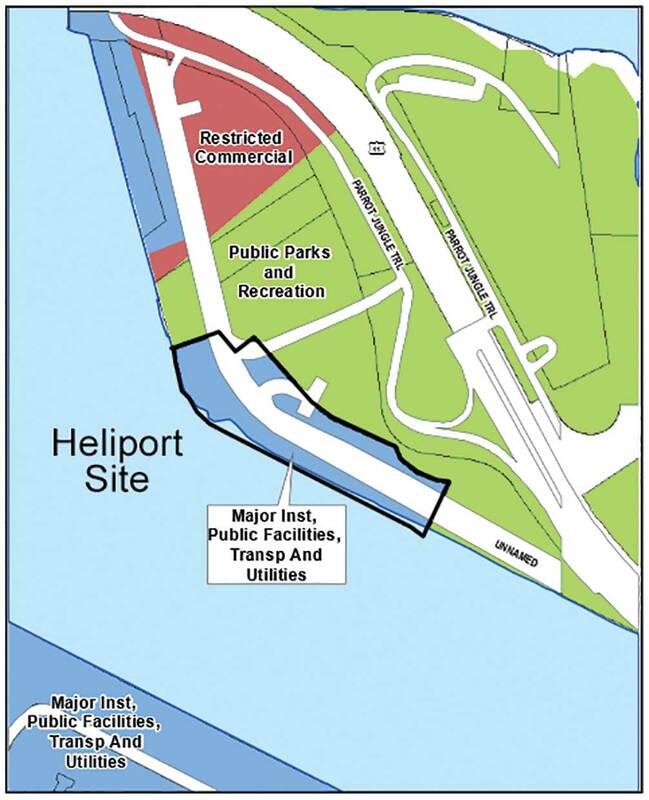 The heliport is to be constructed on land that the city rezoned in 2016. The commission approved a city-initiated change of the land use designation of several acres from Public Parks and Recreation to Major Institutional, Public Facilities, Transportation and Utilities. It also approved rezoning the property from Civic Space to Civic Institutional. At that time, city officials said the land use and zoning changes were part of a settlement of decades-old litigation involving the site. Other leased uses on Watson Island include the Miami Children’s Museum and Jungle Island amusement park. The man-made island connects mainland Miami with Miami Beach via the MacArthur Causeway.